This body pillow is ideal for any type of sleeper. 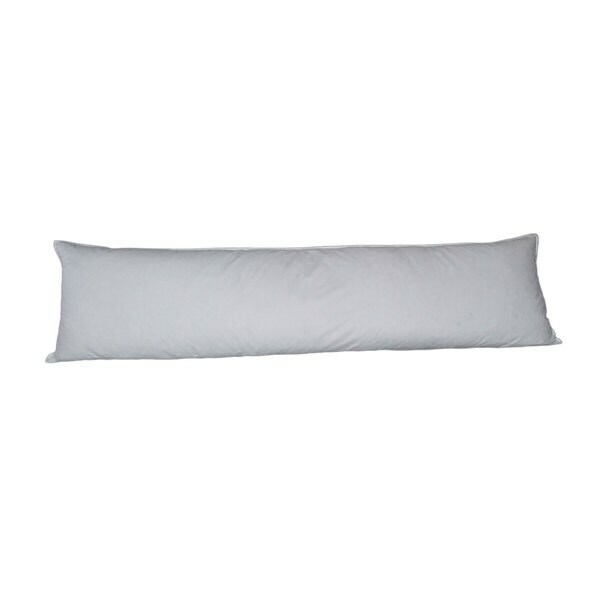 With a medium firmness and 200 thread count, this pillow adds comfort to any bed. King size pillow that fits! I've been looking for a body pillow that would sit behind my regular pillows on my new king size bed. This pillow fits the bill perfectly and is full yet soft; it's a win-win for me! "Where can we buy a case that fits?"